SAP Canada is getting a new chief operating officer. The German enterprise software company has appointed Sam Masri as COO, a role that will see him lead the development and execution of SAP Canada’s go-to-market strategy across all on-premise and cloud solutions. He will also be in charge of the company’s technology, value, and industry teams to drive digital transformation at a wide variety of Canadian businesses. 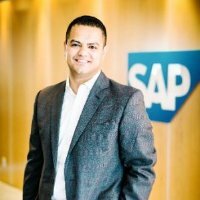 Masri has been with SAP Canada since 2013 leading its Industry Value Engineering (IVE) organization, which is a group of industry experts and management consultants developing strategic digital innovation projects and making them reality. Previously, Masri held positions at Booz & Company, Johnson & Johnson, and Oracle Corporation, where he delivered large-scale business transformation programs and management consulting engagements across North America, EMEA, and Asia. Andy Canham, managing director of SAP Canada, commends Masri’s leadership of the IVE group and says it will help him drive future growth. “Sam’s leadership of the IVE team helped SAP Canada become an essential component of the success we have had in recent years driving digital innovation at companies of every size across the country and in all industries. He now steps up to the COO role, where he will accelerate our focus and ability to enable digital transformation for our customers,” he adds. SAP Canada is headquartered in Toronto, Ont., and has been in Canada since 1989, serving 14,000 customers and employing over 3,200 people.